Garwood’s Miner, the world’s smallest rear load truck, has won the Innovative Product award at the Australian Waste and Recycling Expo (AWRE). The custom designed compactor won for its ability to access places no other truck can go, with the maximum cab plus body height at only 2080mm, while maintaining a capacity of five cubic metres. This allows the truck for the first time to go underneath apartments, office blocks, shops and even sports stadiums and exhibition halls. “The Miner can go anywhere a standard 4×4 car can go, which has really opened up the collection process,” said Daniel McHugh, the national sales manager at Garwood International. “Apartment block tenants will typically put their bin(s) out on the roadside once a week. The bins are often placed there for up to 24 hours before the collection time, while there can be as many as 50 bins lined up on the kerbside. “It’s unsightly, the residents don’t like it and the traffic is held up whilst the bins are collected making it an inefficient collection method for everyone. “This is the first and only mobile garbage compactor in the world that can get into these sites and collect the waste materials from the underground storage areas. The Garwood Miner can pick up the full range of mobile wheelie bins (120, 240, 360, 660 & 1100 litre) with its specially designed wide comb lifter. 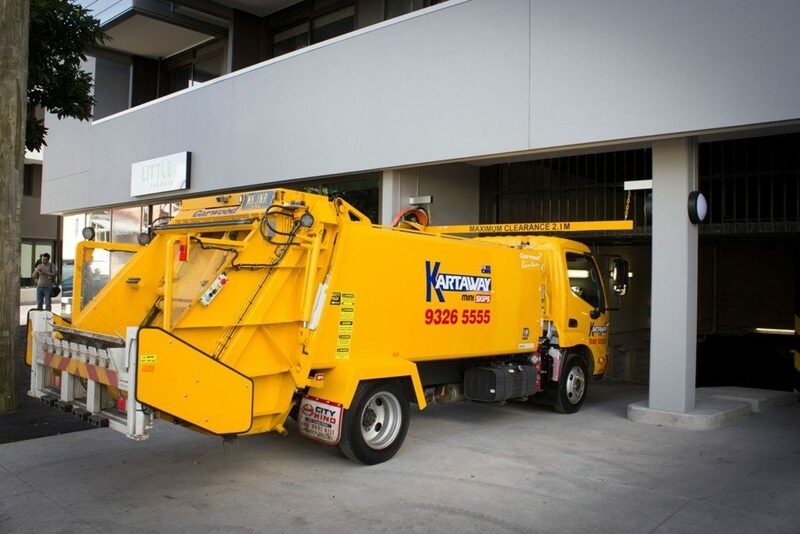 Further, the bin lifter that allows us to tip all of these bin types within the underground height restrictions, without hitting fire sprinklers, pipe lines, electrical cables and other critical infrastructure. The Garwood Miner has been designed to run extremely quietly – with the engine running at minimum engine revs, reducing fuel costs and engine noise. The unit also has cushioning on the hydraulic cylinders meaning no loud bangs at the operational change over stages. It has a fast compaction cycle (10 seconds) making it the fastest compaction cycle time of its type. “Another advantage of the unit is it can also be used for missed bin collections, as it’s a lot quicker getting around town to grab these missed bins and a lot more fuel efficient than sending out a much larger truck,” McHugh explained. The Miner has been designed so that a single operator can both drive and pick up the bins. Although the design of the Garwood Miner means you probably wouldn’t have seen or heard it, several Miners are currently in use in Melbourne, with another four on the way to the UK.